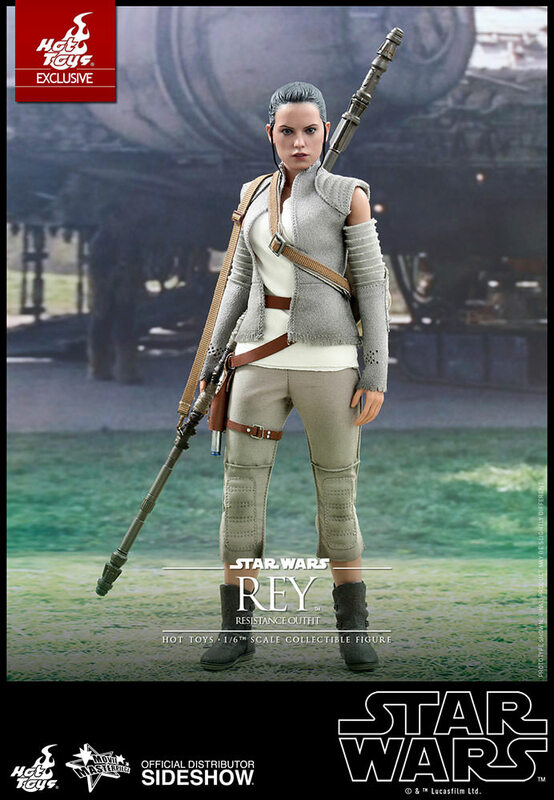 In Star Wars: The Force Awakens, fans were introduced to our new heroine Rey and her incredible journey, assisting the Resistance to stop the First Order’s menacing plan and find the legendary Luke Skywalker. 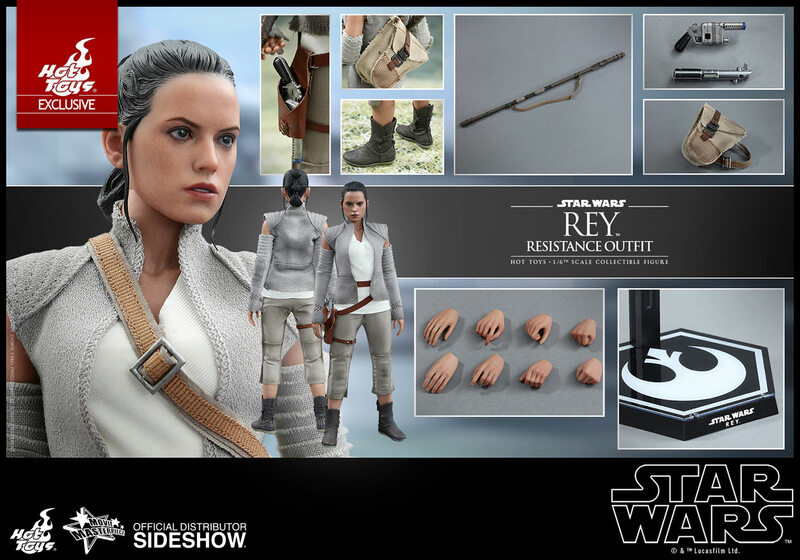 In honor of the 2016 Star Wars Celebration, Sideshow and Hot Toys are delighted to celebrate this special occasion and are excited to introduce a new exclusive sixth scale collectible figure of the beloved Rey in her new Resistance outfit as seen in the epic moment of the film, where we meet Luke Skywalker once again. 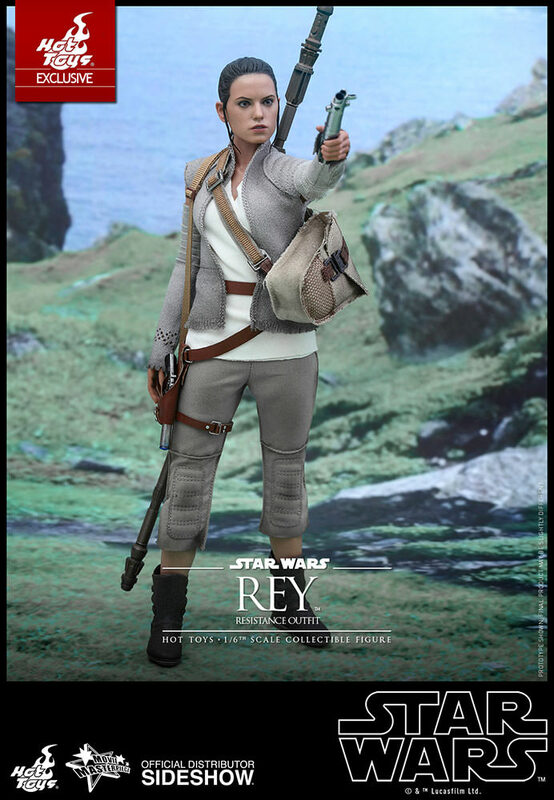 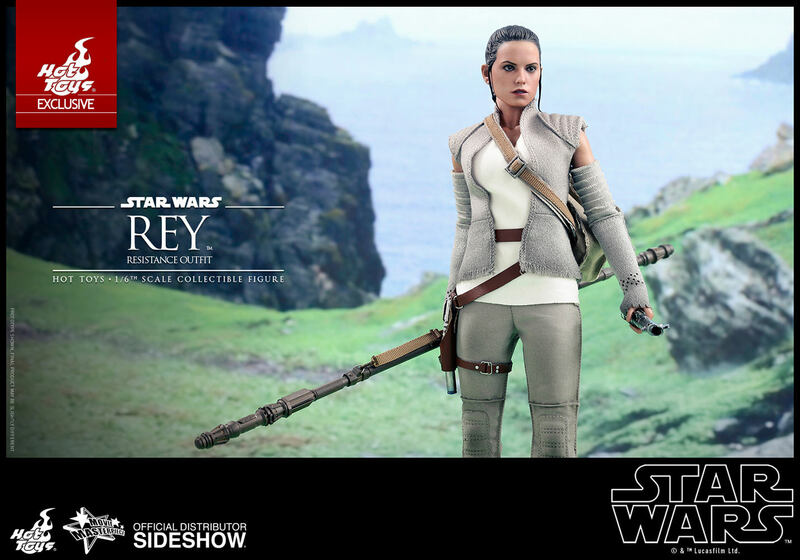 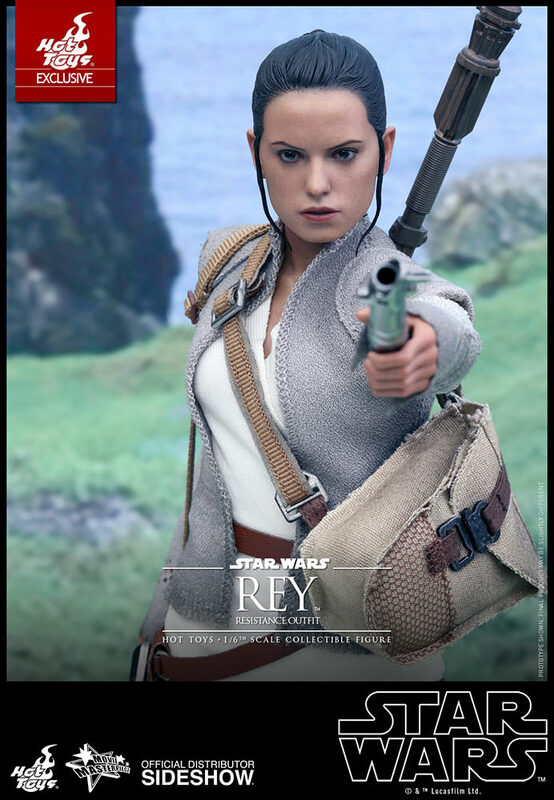 The highly-accurate collectible figure is specially crafted based on the image of Daisy Ridley as Rey in Star Wars: The Force Awakens and features the highly detailed head sculpt and meticulously tailored outfit as seen in the final scenes of the film, Rey’s signature staff, a blaster pistol, Luke Skywalker’s lightsaber hilt, and a hexagonal figure stand with the Resistance’s emblem. 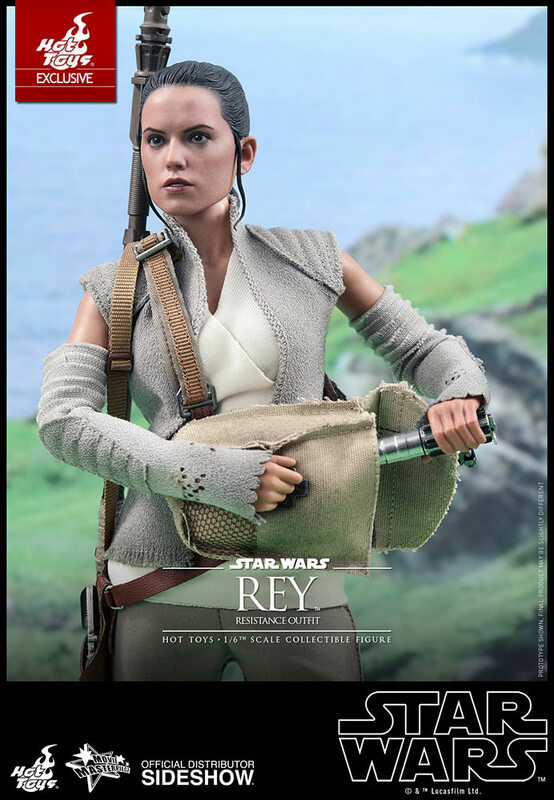 Brand New UK stock in Sealed Hot Toys Shipping carton.